Don't feel like paying $120 for Microsoft Office 2007? IBM has released Lotus Symphony, a set of three applications that will help you work with documents, spreadsheets, and presentations. 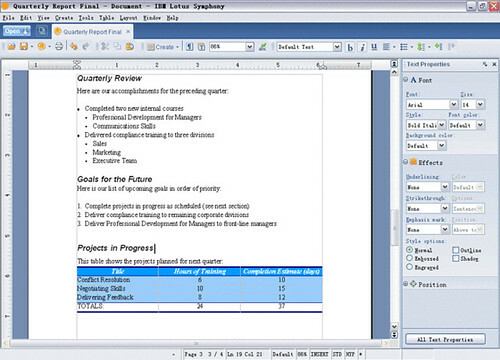 This adds another suite of office productivity software that supports the Open Document Format in addition to OpenOffice. If you haven't been too impressed with the open-source OpenOffice, Lotus Symphony might give you another reason to switch to a more open productivity suite. Lotus Symphony supports both Windows and Linux.